We all love “The Tonight Show,” but getting tickets is near impossible. Why not go straight to the source and see some of the Tonight Show writers in person for their podcast “How to Be a Person,” with special guest Michael Ian Black. Looking for something a little snarkier? Check out “Kill Me Now” with award-winning comedian and writer Judy Gold. She and her guests will vent with humor and passion about the injustices of daily life— be it gender pay equality or the friend who will never pick up the check. For $5, check out “The Touré Show.” TV personality Touré interviews accomplished people to learn what they did to succeed and what advice they have to share. 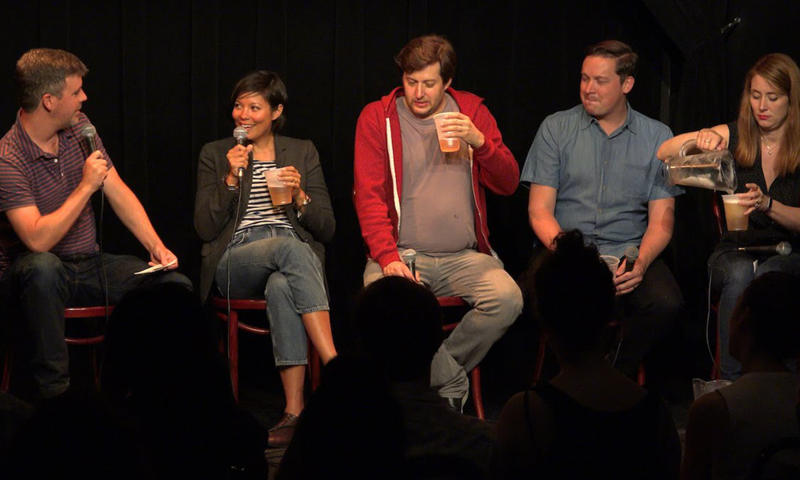 For a funnier take on the news, try “Two Beers In: A Tipsy Political Round Table,” co-hosted by UCB comedians. “What Really Happened with Andrew Jenks” chronicles Jenks’s investigations into new narratives and untold stories about historical events. The special guest at the live taping will be Jason Flom, Lava Records CEO and Innocence Project founding board member. We don’t have that, but we do have comedian and original cast member Kevin McDonald. Check out “Kevin McDonald’s Kevin McDonald Show” with, you guessed it, Kevin McDonald. Most shows don’t conflict, so you don’t have to pick just one! Get tickets to NYC Podfest and see the full list of what’s playing here.